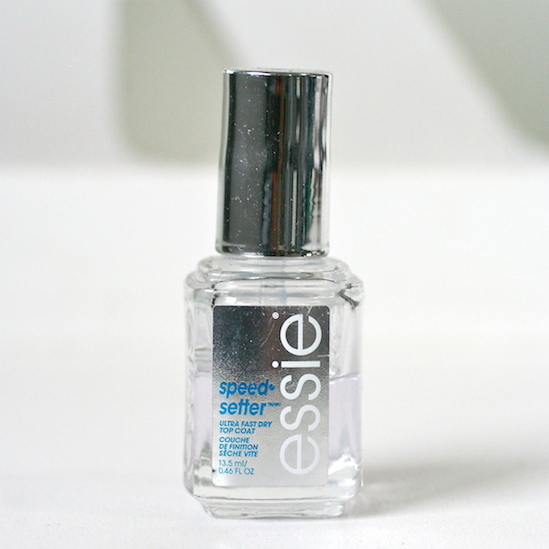 Speed Setter is the newest top coat that was added to the Essie line this summer. I've owned it and used it consistently for 4 months now and I've got a solid opinion of what I think of it. Base Coat: I used Essie Treat Love & Color. 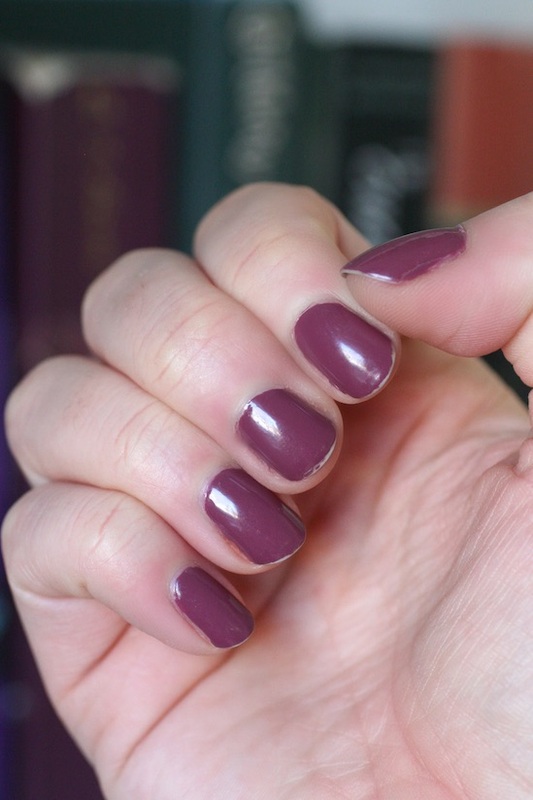 I struggle with peeling nails and wanted to condition & strengthen them as I wore polish. 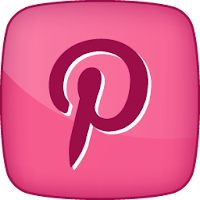 Nail Polish: I chose Essie Angora Cardi. I picked a nail polish that I knew would be opaque in two coats and also a bit darker so that we could clearly see any chips or tip wear. Nail Painting: I painted my nails using 1 coat of base and two coats of colour. I wrapped the tips with my polish and also with top coat. Wrapping your tips will help prolong the wear of your polish so I made sure to do that. **I should mention that whatever worked or didn't work for me, may be different for you. We all have a different chemistry make up of our nails and different products work for different people. I also have nails that peel, so you'll notice I don't have a long wear time on anything. While someone can wear a polish for 7-10 days without chips, I really can't. Keep that in mind for these results! 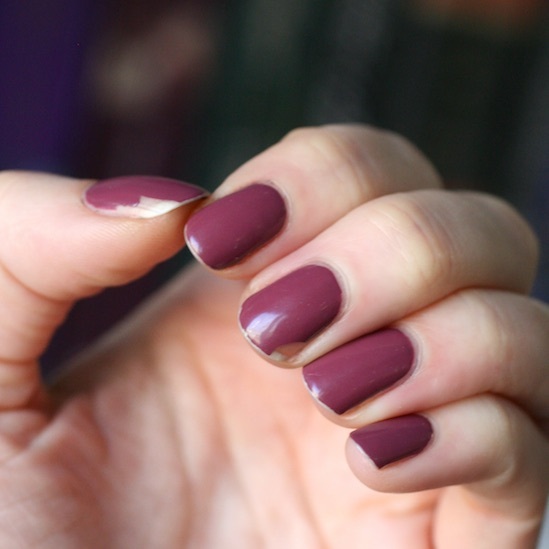 Essie Setter topcoat is an ultra fast dry top coat. It claims that it "dries in under a minute with a high shine finish." This top coat is really nice to apply! The brush is wider than a typical Essie brush although I wish they had made it more rounded like the Gel Couture brush. It's faster and smoother to apply because it's wide, but the flat edge means I get more top coat in my cuticles. Not a big deal because it's clear and you don't see it/you can clean it up with a small brush and acetone, but it's my one gripe about this brush design. The consistency of the top coat is really nice. It's not super thick like Gel Setter but it's not a thin, runny top coat either. This top coat gave my nails nice shine, although maybe not quite as high shine as Gel Setter or Good to Go. Of course I had to check if my nails dried in under a minute! They were MOSTLY dry to the touch. I could see my fingerprints indenting into the polish everywhere I touched my nail, but they completely levelled themselves out and you couldn't see them after a couple minutes. They were honestly pretty perfectly dry to the touch in about 2 minutes. 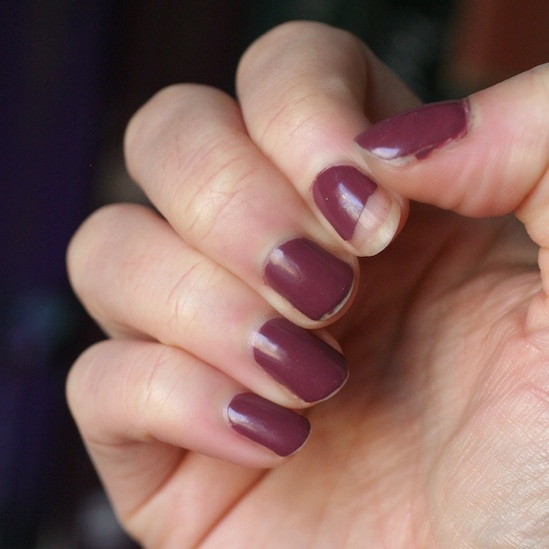 They weren't cured hard - I could still dent my nails, but they wouldn't smudge anymore. After 5 minutes, I just got on with my day and began to make supper. 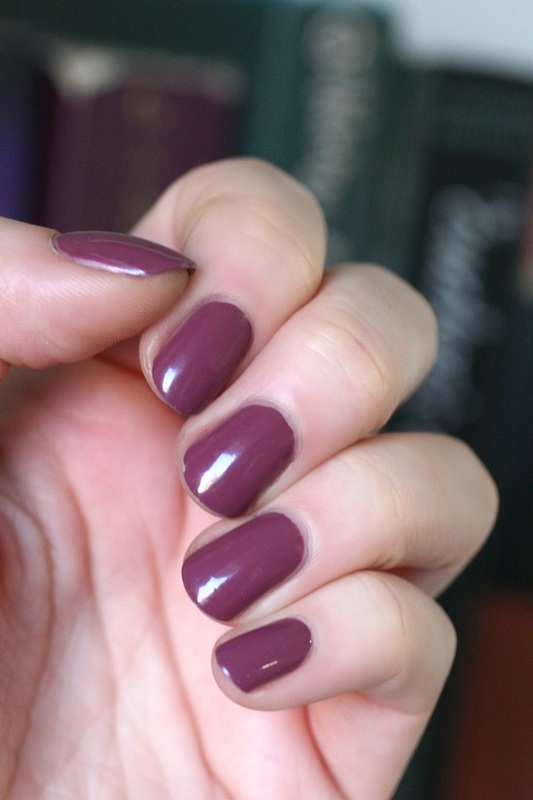 You guys, you can totally do that with this top coat! I wrecked one nail because a heavy bag of rice fell on my nail but if you are careful and have light movements, you can totally get away with it with this topcoat. My nails were dry all the way through at about 25 minutes. Thats amazing!! Seriously. For a busy mom like me, who's constantly polishing my nails, that time savings is huge. I have the tiniest amount of tip wear on my middle finger but that's it. The shine has dulled a bit my nails still look great. There's more tip wear on my dominant hand (which is to be expected) but no chipping. That's really good for my nails! There's no picture because my nails looked exactly the same as day 4. I was totally expecting to see some chipping by now but didn't. I'm honestly amazed they look this good after this many days. This top coat is impressing me! I finally saw some chipping during my cross fit workout. This was the third cross fit session that I had gone to since wearing this polish/top coat combo and the only one that caused any chipping. This kind of chipping isn't even that bad when you compare it to my previous wear tests! My dominant hand of course chipped worse. Other than the big chip on the pointer I got at cross fit the rest is just tip wear. Wow! I made it 6 days before I had to take this mani off! Totally impressed with that. Usually I have tons of chipping on day 3 or 4. After using this top coat for so many months I can also tell you that it hasn't thickened up at all. Usually once a top coat is half empty it gets thick and harder to use but as you can see in the first photo, my bottle is half gone and I'm not experiencing any of that! I haven't noticed any bubbles in this top coat like so many people complained about Gel Setter (including me) and I haven't noticed any "shrinkage" yet either (when a top coat makes your polish shrink back from the tips of your nails). This is an amazing top coat! It has the longest list of pro's and shortest cons by far. For me, it's been the best of all the top coats I've tried! I would definitely recommend it and repurchase it. 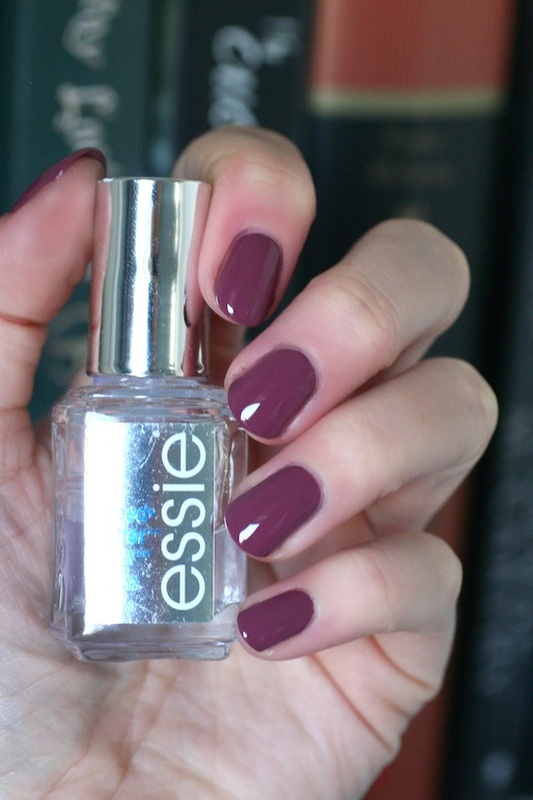 Have you tried Essie Speed Setter? 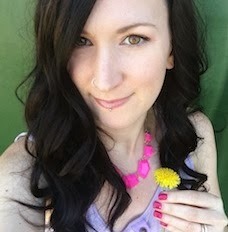 Everyone's nail chemistry is different so I'm super curious to hear what your experiences have been with it. Thank you for the review!! I’ve been curious about how well this top coat works and how fast it actually dries. Right now I use essie No Chips Ahead. I like it but it takes so long to dry!! Thanks for the review - I've been using Good to Go for years and when I went to repurchase, I could only find Speed Setter and was worried it wouldn't be as good. I still got it and will be using as soon as my current bottle is done.